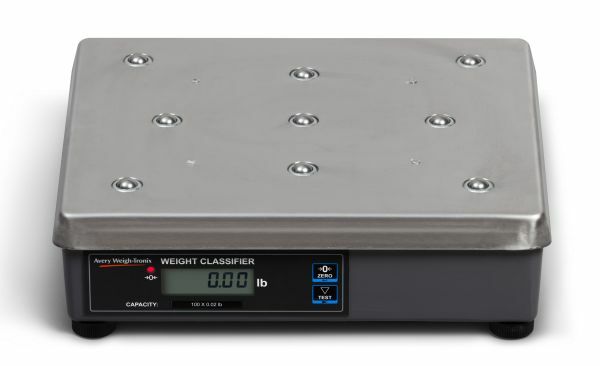 The Avery Weigh-Tronix 7815-BT shipping scale has a capacity of 150 pounds with a readability of 0.05 pound (0.1 NTEP) and a 12 x 14 inch (Ball-Top) pan and is NTEP legal for trade. 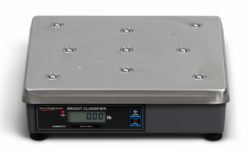 The 7815 and the 7815R (Remote) offer a durable 12" x 14" Bench Scale that is ideal for use within busy post mail and shipping environments. status whenever ASCII “W” is sent by a remote device. ZERO: Includes Auto Zero Tracking or Manual push button to re-establish zero reference. 2 level diagnostics: front panel display test or full service diagnostics.